This move in ready home is perfect for first time homebuyers or those looking to downsize! It can also be a great condo alternative! Entertain in the large family room addition which features a built in bar, recessed lighting and beautiful bamboo flooring. The kitchen, which flows nicely to the dining room or family room, offers granite countertops, tile flooring, a breakfast bar and newer appliances. Updates also include newer siding, roof, some replacement windows and an enclosed carport perfect for storage. Outside, the fenced in, tastefully landscaped yard includes a patio perfect for entertaining and relaxation. 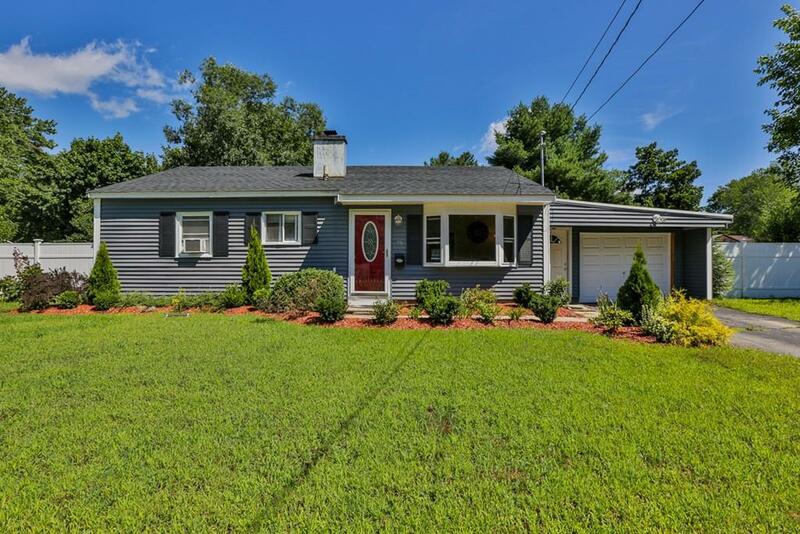 Located in a desirable neighborhood, this home is convenient to shopping areas, highways and the Wilmington commuter rail stations. Don't miss this great opportunity!!! Listing courtesy of Ellen Bartnicki of Re/Max Encore. Disclosures Sink in Wet Bar Not Hooked Up. Seller Added A Garage Door To Carport. Listing provided courtesy of Ellen Bartnicki of Re/Max Encore.